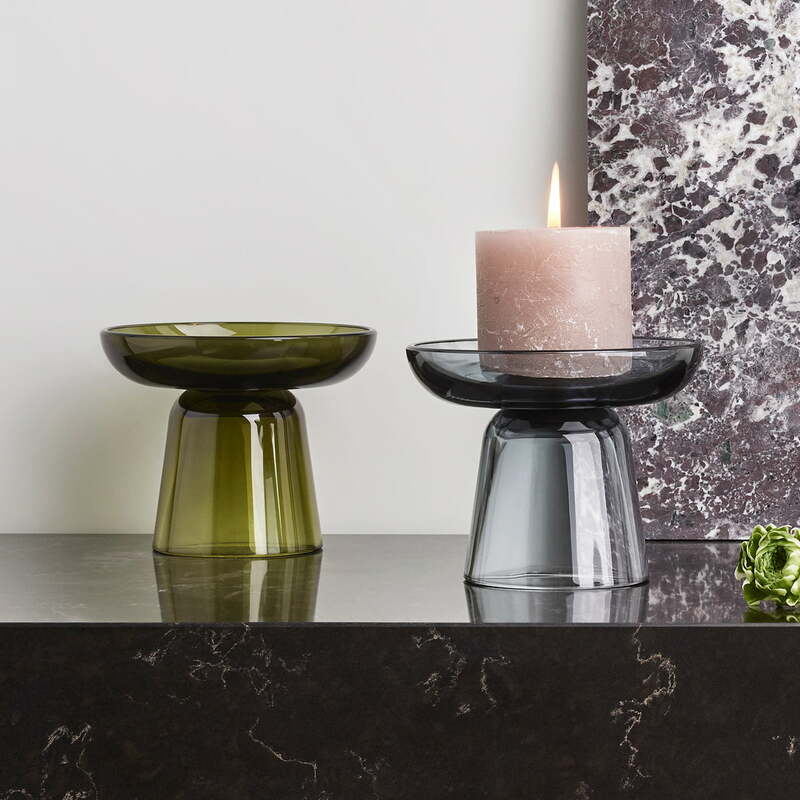 The Nappula glass candle holder was designed by Matti Klenell after the Swedish designer visited the glass museum in Nuutajärvi and his eyes fell on an extravagantly shaped table. Inspired by this appearance, Klenell created a series of modern candleholders and Nappula was born. Due to its production from solid-coloured glass -made in Finland- and the soft silhouette, the candle holder gets an attractive vintage look, that also fits in perfectly in modern interiors. 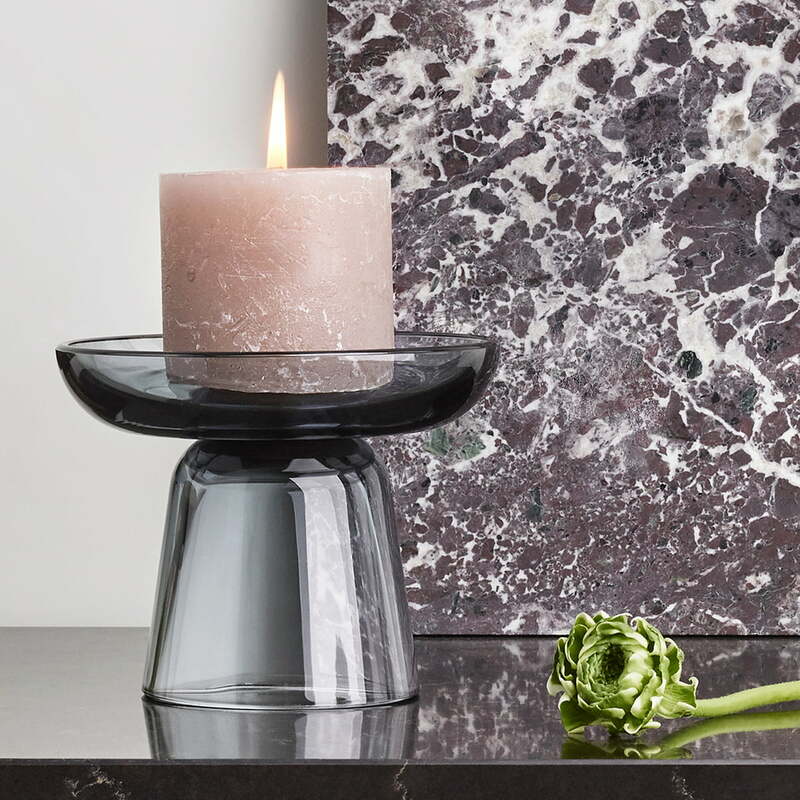 Equipped with a commercially available block candle, the Nappula glass candle holder creates a cosy atmosphere and at the same time stylishly enhances any ambience. The Iittala Nappula glass candle holder is available in different colours, which can also be combined with each other. 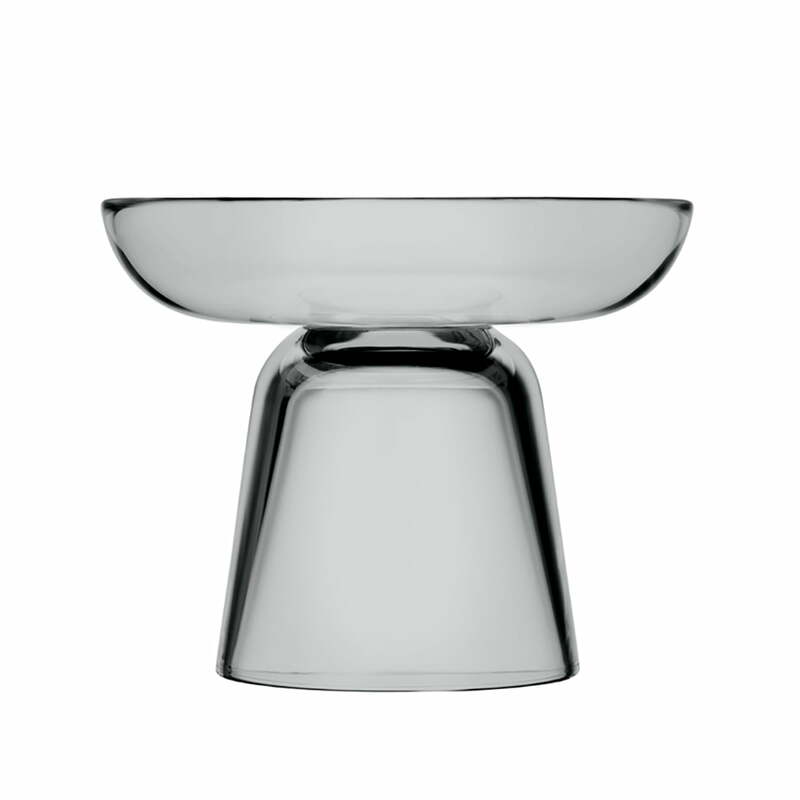 The Iittala - Nappula Glass Candleholder 107 mm, grey The Nappula glass candleholder was designed by Matti Klenell. 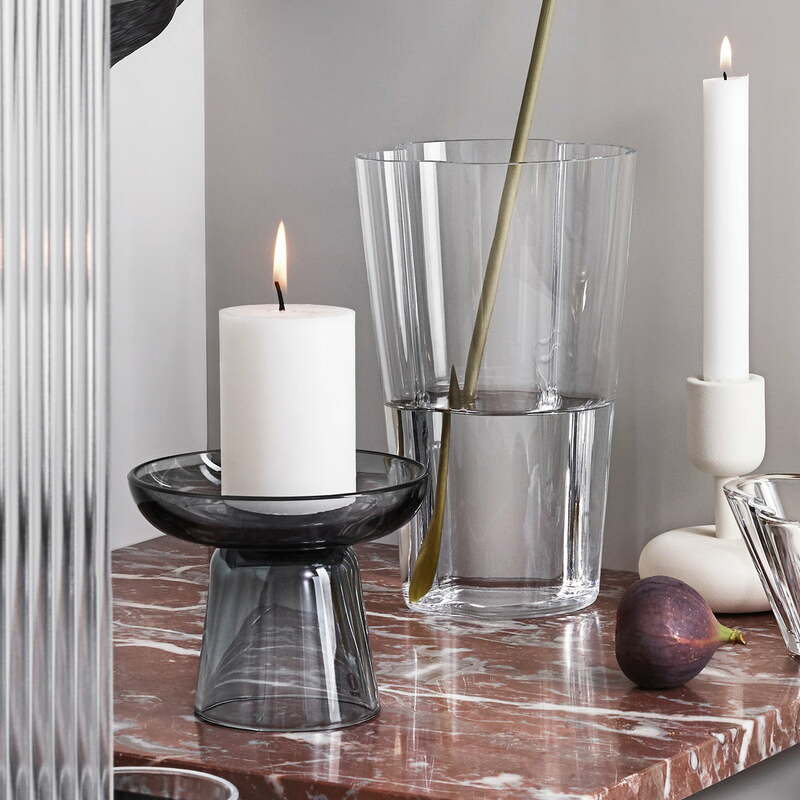 The candle holder from Iittala has an attractive vintage look due to its production from solid-coloured glass -made in Finland- and the soft silhouette. 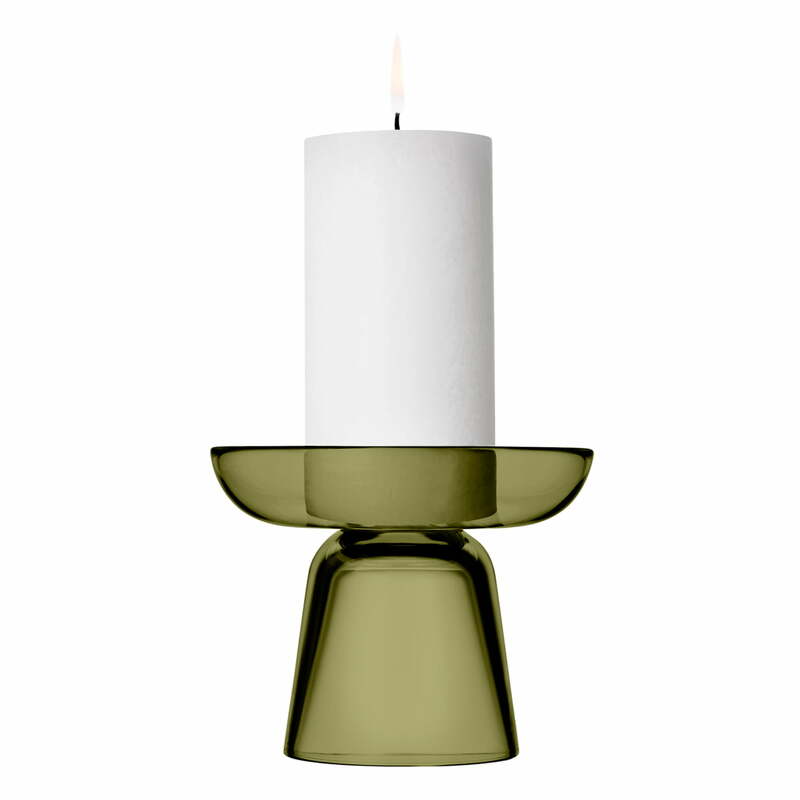 The Iittala - Nappula glass candleholder 107 mm, moss green Equipped with a commercially available block candle, the Nappula glass candle holder creates a cosy atmosphere and at the same time stylishly enhances any ambience. 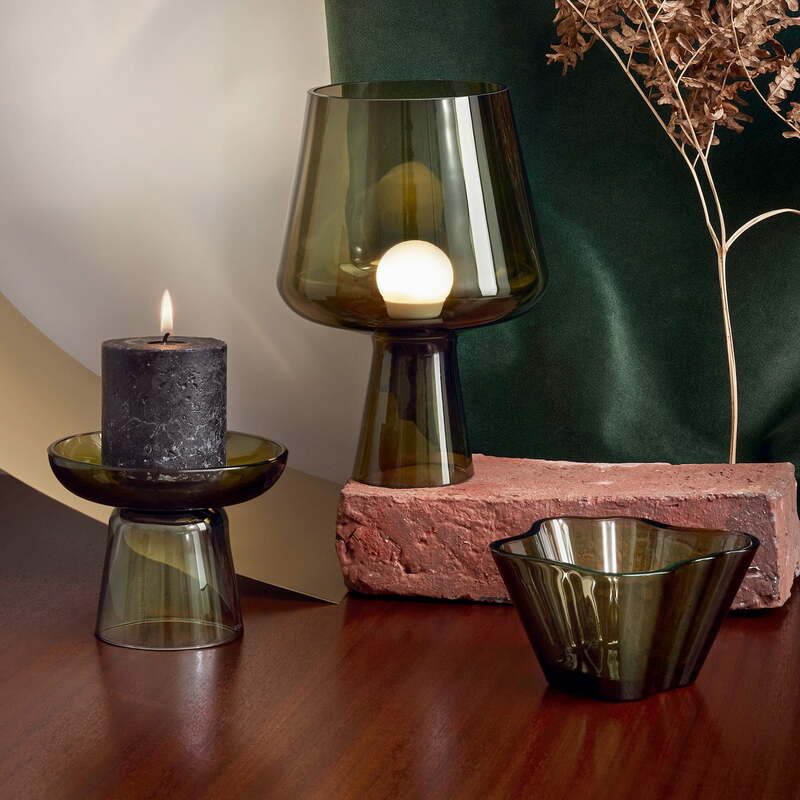 The Iittala - Nappula Glass Candle Holder 251 mm, Moss Green and the Nappula Candleholder 263 x 263 mm. The shapes of the two Nappula candleholders complement each other perfectly. 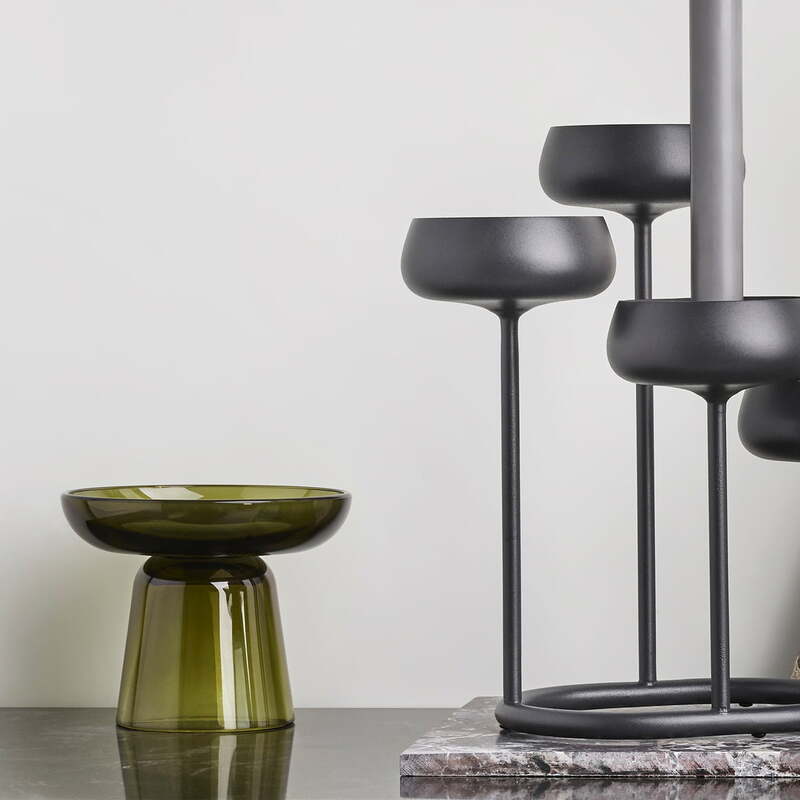 Lifestyle product image of the Iittala - Nappula glass candle holder, the Leimu lamp and the Aalto vase. Iittala products complement each other perfectly and form a stylish ensemble. Lifestlyle product image of the Nappula glass candleholder 107 mm, grey. Due to its production from solid-coloured glass -made in Finland- and the soft silhouette, the candle holder gets an attractive vintage look, that also fits in perfectly in modern interiors.